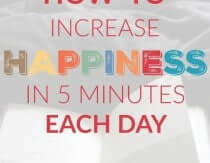 Heather Dessinger 108 Comments This post contains affiliate links. 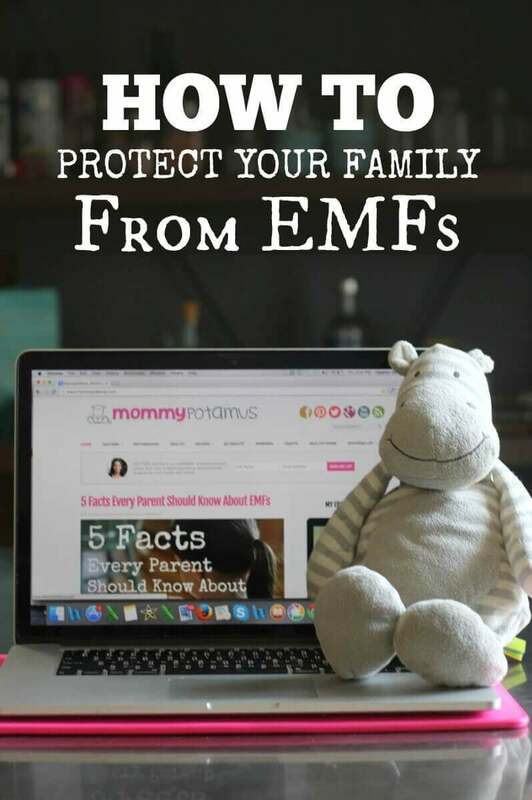 Mommypotamus note: This EMF protection post is a follow-up to “5 Facts Every Parent Should Know About EMFs.” If you haven’t read that one, you may want to start there and then come back. Okay, let’s jump in! Maybe I’m wrong, but I think a lot of us . . .
Smarter people. More well-connected people. People who don’t spend the morning looking for their kids shoes. It’s not that we don’t care – we absolutely do. It’s that we were introduced to the big problems of the world at at time when there was very little we could do about them. As little kids, we learned to rely on those stronger than us to do something. And while that’s totally appropriate, some of us (like me) came to the mistaken conclusion that our role in the big issues of the world would always be a passive one – that we are too insignificant to make a difference. We become like an elephant bound by a silken cord. In countries where elephants are used as working animals, they must be trained when they are very young and not yet too powerful. The first thing a trainer does is fasten a heavy manacle and chain to the baby elephant’s leg, securing the other end of the chain to a metal stake driven deep into the ground. When the elephant tries to walk freely about, it cannot move any farther than the end of the chain. Although the animal may try repeatedly to escape, it is held in check by its unyielding restraint. After a period of time, the baby elephant stops testing the strength of the chain. It remains within the circle’s limited circumference, completely passive. It has become thoroughly convinced that it cannot escape. I was this way until Katie was born, but you know what? She wouldn’t stay in my safe(ish), tiny sphere! I didn’t want to change her by teaching her to be afraid of everything, so I decided to work on the world instead. And just like that, the thread snapped. It wasn’t until that moment that I realized how powerful I was – how powerful we all are. 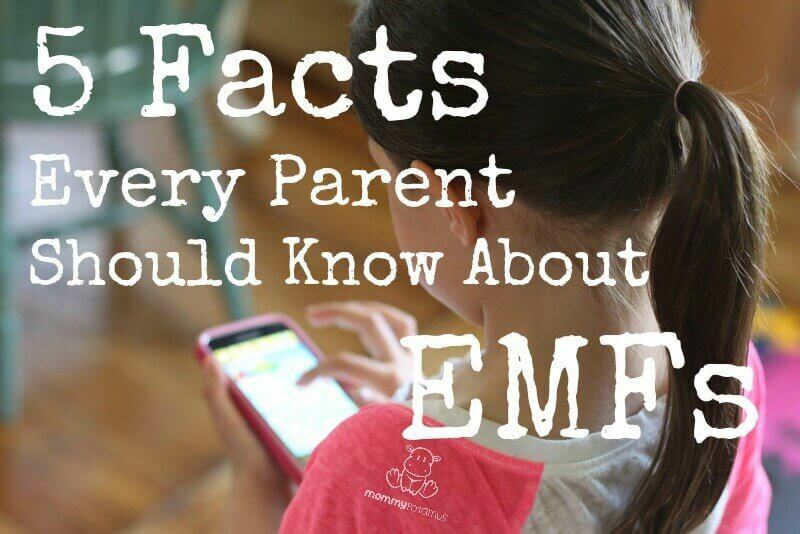 One of my concerns when I shared the five things every parent should know about EMFs is that it would just overwhelm you, that because it’s not possible to get away from EMFs entirely that it’s not worth trying. But oh, it is. In other words, reducing exposure from the EMF sources closest to you will make the most difference. With that in mind, I’ve put together some simple EMF protection solutions to get you started. Everyone is going to prioritize things differently, and that’s okay! Some will want the quickest solutions, some the cheapest. Feel free to mix up the suggestions – skipping some of the easy ones and adding some of the more advanced ones based on your situation. The first step to reducing exposure is to deal with the EMF generating devices we use most often. If you’re anything like me, that’s your laptop and phone. I’ve also included some special protection ideas for special situations like pregnancy, the presence of a smart meter nearby, etc. Defender Pad is an FCC certified laptop shield that blocks the full frequency spectrum of EMF radiation, including heat radiation, Radio Frequency (RF) emissions (99.9% effective), and Extremely Low Frequency (ELF) emissions (98.25% effective). I am not aware of any other laptop shield that comes close to their technology. Now, because I know this is an investment I asked Defender Shield, the maker of Defender Pad, to give you a discount – they said yes! Click here and use coupon code MOMMYPOTAMUS at checkout for 10% off. Defender Shield also makes shields for tablet PC’s and iPads using the same technology. I don’t have a tablet (what?? ), but if I did I’d definitely get one of these. 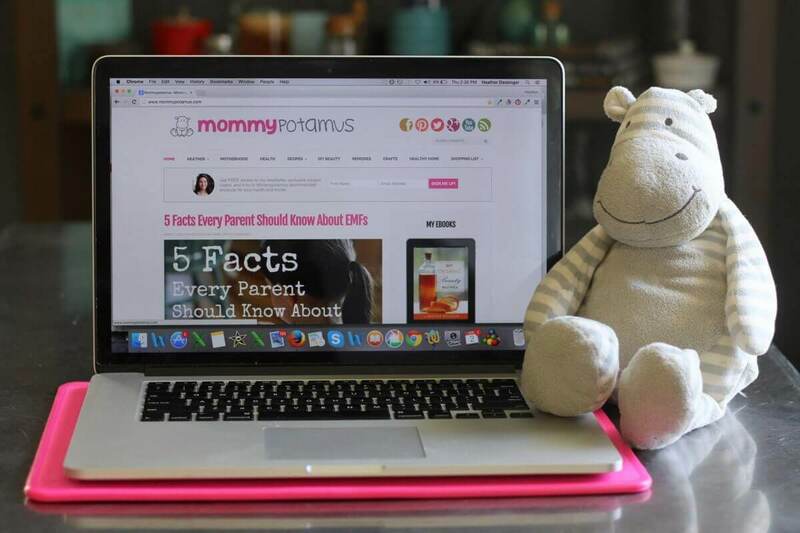 The discount mentioned above (MOMMYPOTAMUS) can also be used to save 10% at checkout – shipping is always free. If you’ve ever tried to shop for one of these, you know the claims can be both confusing and difficult to verify. You fall in love with one that blocks nearly all signals, then realize it only blocks from the side of the phone you’re NOT talking on. Another works only while you’re carrying it – not while actually in use. And yet another one only seems to work when you’re standing in a field with a purple unicorn. I like this case from Defender Shield. It blocks nearly 100% of both RF and ELF radiation and can be used while talking or carrying the phone. They also have cases for pretty much every major smart phone available, so you should be able to find one that meets your needs. Certain fabrics can also be woven with a conductive silver material that cancels out EMFs by either reflecting or absorbing them. I wish I had known about these Belly Armour bands with the potami – they function just regular bands only they incorporate an EMF shielding fabric. Here’s another style if you want to take a look. Belly Armour also makes a belly blanket that you can just toss over your tummy when you’re on the computer. One thing I learned when reading Overpowered is that a microwave oven emits roughly 100-500 milligaus in EMFs from four inches away, but a hair dryer can emit anywhere from 40-20,000! It’s an investment, but if you blow dry your hair often it may be worth investing in a low-EMF hairdryer like this one. Though it doesn’t directly counteract EMF radiation, some evidence suggests that Earthing may diminish its effect. Place calls on speaker phone and set the phone two feet away – use a headset if desired. Don’t make calls while in the car – the signal has to bounce off of different towers constantly to stay connected, which increases your EMF exposure. Avoid making calls when you only have a few bars – The phone automatically increases it’s signal to try to compensate. Check your house for smart meters. If you have someone come to your house every month to check your electric and water usage, rest well for now. Smart meters are coming to GRU, but they’re not here yet. If you have a smart meter, the readings can be over 100,000 mW/m2 (remember the threshold for concern is 10). Smart meters are like having a cell tower on the side of your house. Our house does not have one of these, yet. But it’s coming to our neighborhood because there’s an active smart meter data collector on a power pole in front of my house. Nothing hot going on there yet, but the tag says it is active. Know that new appliances often have chips in them to send data wirelessly to smart meters. Our 2+ year old craigslist upright freezer has one of these chips and is sending out a signal 24/7. Good thing it’s in the garage. CFL bulbs give off a lot of radiation. Readings were as high as 8mG (threshold for concern for this is <0.2). Switch to LEDs or go back to incandescents. Once you’ve identified known EMF sources, it’s a good idea to check and see if your home has any “hot spots” due to dirty electricity, the presence of ELF/RF emitting devices nearby or power lines. Unfortunately, these gaussmeters will not detect radio frequency/microwave radiation emitted by wifi, cell phones, and other wireless devices. For that you need a power density meter like this Trifield Meter. Daddypotamus and I bought one to evaluate properties when we were looking for our farm – it measures both ELF and radio frequency/microwave radiation. He also adds that you should take multiple measurements because “Cell phone companies, for example, can change their transmission frequencies during the day. Similarly, throughout the day, nearby WiFi networks can be turned on and off, and if you live in an apartment, EMF levels can shift frequently, as others in the building use different tools, device and appliances. The Institute for Building Biology and Ecology has set the healthy/safe threshold to 10 micro watts/square meter for RF for living spaces and below 5 micro watts/square meter for sleeping spaces. There are so many possibilities that it would be impossible to cover them all. 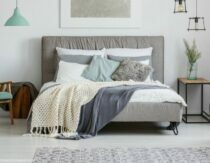 If you notice something that concerns you, you can call LessEMF and see what they suggest or get in touch with a consultant like Scot at BioHealthy Homes. Do you have a question about protecting your family from EMFs? do you have any friends left?? i LOVE your way of thinking but when i started on my ‘healthy quest’ i ended up loosing many many friends…..people didnt want to drink their sodas around me anymore (even though i say NOTHING!) Why when one wants to better their own lives, it makes others feel so bad they want to leave?? I’d like to know the answer to that question, as well 🙂 I’ve also lost friends, although I don’t feel that I ever pressured or guilted anyone. I’ve gotten to the point where I don’t share what I know. It is hard because we want to help others, but I’ve realized that most people can’t handle it and simply end up feeling guilty or resentful. Haha! Yes I do have friends, but most of them have a holistic perspective as well. I was already on this journey when I became a mom, so naturally I gravitated toward moms who cared about the same things. Do you have recommendations for tv devices, providers, or options pertaining to this? Yes, or they just don’t believe in all of this. But remember smoking??? Most people believed smoking was perfectly fine, until it was too late for some. It’s sad that for people in this country to actually be aware of dangers, they have to hear hear or see some guy on tv doing a propaganda bit. THEN it’s a different story. Like lead, radon, asbestos. It’s so funny how MOST people are like that. It’s as if most can’t think for themselves. I have gone through some major changes and I learnt pretty fast, that better say nothing at all, unless asked:D Especially when it comes to food. Still got all my friends, yay! Question on the smart meter … did he install it? It seems as though they are now installing them in my area. Would love to know if you got out of it! No, he didn’t, but he did say that I couldn’t opt-out forever unless I agreed to pay several hundred extra dollars a year. We eventually moved to our farm which, thankfully, does not have a smart meter. According to our meter reader there are no plans for one, either. Thanks! I really hope since we live way out in the country that they will not install them anytime soon. If they do, I plan to get that cloth to help protect our family! This post is over whelming. I don’t really know what gives off these “emf” things. Maybe I’ll have to look into a meter — sounds expensive! Hi Heather. Thanks for The great article. My question is, do cell phones (and laptops) emit radiation just when in use? I’m specifically wondering if cell phones emit radiation when you are on the phone, or using it to read, surf, etc, or all the time even when in sleep mode? Thank you! If they are turned off they do not emit emf’s??? Basically, electromagnetic radiation or EMR is composed of RF (wireless) and EMF (wired). EMF is made up of electric and magnetic fields. An iPad and an iPhone have several antennas for Bluetooth, Wifi, and cellular which all emit RF microwave radiation (wireless). They are turned off when the device is set to Airplane Mode. It is more difficult to protect from EMF, the electric and magnetic fields. 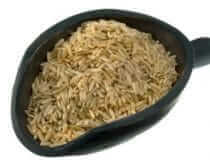 However, the radiation drops off quite quickly when removed from the source. This is why you don’t want to have a laptop on your lap even when in Airplane Mode as the EMF from the batteries are still emitting radiation. B. Turn them to airplane mode. Laptops and tablets are essentially the same, except you can connect them to the internet with an Ethernet cord. This allows you to access the internet without being exposed to wireless radiation. I have a Fitbit that I wear on my wrist all the time. It only syncs with my account when I pull up the app, so I don’t think it is always transmitting things. However, do I need to be concerned about devices such as these (Bluetooth headsets, fitness trackers connected via Bluetooth, etc. ), and if yes, what should I do help with the exposure? Everyone has their own comfort level, and honestly it’s not practical to completely avoid EMFs because the devices they come from are so useful. Bluetooth does emit EMFs – I would ask the manufacturer if they transmit signals only when transferring info. I might also use a gaussmeter to measure the level of ELF radiation they generate. Based on my findings I’d decide whether to continue using one or not. Fitbits pulses high levels of microwave radiation (Bluetooth) every second. I have measured one. It is true that they sync only once to your phone. However, they pulse a non-stop signal. If you are holding your child or someone’s hand then they too will get the pulsed energy into their body. Hi! Thank you for the post! during your research did you come across the BioDots? The are supposed to help block emfs. I have one on my router, tablet, phone and a bracelet. Any thoughts? Stickers do not work. It’s like trying to block the sun (another source of electromagnetic radiation) with a sticker. The best protection is blocking the rays which, like the sun, are everywhere. We use Earthcalm products. Have you heard of those? That have a full house protection and one that helps with emf in the car too. So nice to see this addressed! This issue does not get enough attention. Have you had any experience with bio-dots/electro-dots, etc? No friends. Haha. That made me laugh. Thank you for this. I agree it’s totally overwhelming, but let’s not let the overwhelm paralyze us. Progress over perfection. Thanks heather! Wow, I’m so impressed that your landlord converted the building back! How can we know if our meter is “smart”? Though there is not independent research (that I know of) to support their use, I think Q-Links may be beneficial. Regarding hotspots – I do use them on occasion, but in general I try to avoid Wifi as much as possible. I haven’t read Zapped, but it’s on my list. Overpowered doesn’t offer much more in terms of solutions than I have in this post. It is mostly a very well-presented argument that non-ionizing radiation does in fact have biological effects. What about himalayan rock salt lights? Do those help? I am really kind of freaking out now. My 10 year old son is in the 5th grade and everyone in his school in the 4th and 5th grade just got iPad minis. They come home with him at night and they are used extensively for schoolwork during the day and homework at night. Additionally it will be coming home with him during the summer. Please recommend a case I can buy for him to reduce his exposure. Like I said, I am kinda freaking out about the level of exposure my boys have had in the last year on their tablets, which I have now switched to airplane mode. This kept me up most of last night, though for the first time ever I unplugged the power trip for the wifi, modem and wireless printer, and also switched off the power strips for the Roku, Apple tv, etc. Oh duh, I somehow skipped right over your recommended tablet/iPad cases. I think the shield is a great first step, but if it were me I’d read Dr. Blanks book and decide where to go from there. He is very against the use of Wifi in schools and actually includes a section with information on how to bring up concerns with a school. However, the EMF from the batteries will still emit magnetic radiation which drops off with distance. Keep the device away from the body. How can children play games and keep them off thier laps?? We noticed that we woke up feeling more rested. In fact, there were a few times when I forgot and my husband would say to me at breakfast “I feel like I got hit by a truck . . . did you leave the wifi on?” I’d go check the office and the answer was always yes. He could tell such a difference that when we moved he agreed to get rid of it completely. Things like that make me freak out a little because I live in Manhattan literally surrounded by other people’s wifi and phones (I have no idea where my next door neighbor keeps her phone when she goes to sleep for example – could be right on the other side of my bed) and there is no way whatsoever to stop that. I have come to the conclusion that I just have to try not to stress about it because there is nothing else I can do and stress will only make it worse, but I really hope conclusive evidence comes out soon that makes us all go back to wired cords! We have made our bedroom and our children’s rooms free of all wired (EMF) and wireless (RF) radiation. There are no big sleep problems over here any longer. Just a side note: I love your blog very much – but please do not start your posts with abbreviations. Very early in school I learned the important lesson to first write everything in full and only afterwards use the EXPLAINED abbreviation. Please make your blog understandable for all – not only for the US. 🙂 Maybe you did not realize it yet – but you are international 😉 Yeah!!! This would be so helpful. Thank you! Good reminders! My huby bough me an air tube headset for my mobile phone last year and it blocks 99% EMFs when I place calls. Another good thing to mention is getting rid of wireless LAN line phones and going back to an old fashioned corded phone and use that instead for calls when you are at home. I am eager to purchase the shield for the Galaxy when it comes out. Could you post an update here when they come out? I’ll keep an eye out, but I didn’t see an option to sign up for an email list at Defender Shield. Thanks! As soon as I hear I’ll post an update! One of the first places I read about shielding from emfs was from Doris J. Rapp, M.D.- 32 Tips That Could Save Your Life. I began suffering with adrenal fatigue after dealing with allergies my whole life. It’s extremely eye opening to realize I’m sensitive to the world around me and empowered to have the knowledge to fight it and heal. Many friends and most family pick on my lifestyle, but I know they are listening! I won’t give up on my desire to better the world and posts like these help me explain things. Thank you! Did I miss the links to the suggested gaussmeter apps? I couldn’t find a hyperlink near that section. A gaussmeter measures EMF or electric and magnetic fields from devices that are plugged in or run on batteries. It will not measure RF microwave radiation from any wireless device. Hi – Just curious about how you went about researching the different products and how to tell if a product is actually effective? There is a smart patch available from http://www.safespaceprotection.com that is less expensive. You get two for $29.95. And they’re just a small square that you stick onto your phone or other wireless device. I’m just hesitant to buy it because I’m skeptical about how these things actually work at blocking EMFs. Any suggestions about how to minimize exposure when a spouse requires the use of a C-PAP machine (for sleep apnea) while sleeping? Though I don’t have an alarm clock plugged in, don’t have my cell phone near the bed, etc, we do still have his machine plugged in, and unfortunately it’s near our heads. Also, do you have any suggestions for desktop computer users? We do still have wi-fi and I’d like to do something else but am not tech savvy and am overwhelmed with where to begin! Does it make sense to use a laptop shield if you still have wifi on in the house or does it negates the purpose? I think in your article where you mention “100,000 mW/m2 (remember the threshold for concern is 10)”, you may have incorrect units related to the “10” as threshold for concern. When the units are abbreviated “mW” that’s “milliWatts” (not “microWatts”). And 10 mw equals 10,000 microWatts. And then looking near the end of your article in “What Level Is Safe?”, there you do use “microWatts” for the 5 and 10. So I’m hoping the first “mW” is a mistake and that you could revise that. Also, the trifield measuring meter certainly can measure RF (radiofrequency), however, usually it is not very sensitive and will not give anyone a realistic indication of the density of RF in the environment. For sure, for sure, for sure, that trifield meter will not display anywhere near 5 and 10 microWatt/m2 level — possibly it wouldn’t even display a 10,000 microWatt/m2 density! Yes, I realize that the range shown on the face of the trifield meter seems to indicate that the needle would position at the densities at lower numbers, but reality is that it does not. I do use a trifield meter because it does measure the magnetic field component of EMFs very, very well. I realize that you’re also discussing magnetic, electric, and “dirty electricity” fields here, which is great; in my opinion, too many people tend to dwell on the radiofrequency-EMFs whereas all types of these artificial EMFs are body-penetrating and cause biologic reactions inside everyone’s body. I hope my question isn’t too late to be answered, but I was wondering more about Wifi. I read your post right after it was published and noticed not much was said about that particularly, but when my husband read it a couple days later, we noticed the list from a reader was added and that addressed Wifi some. You mentioned turning it off at night, and ideally getting rid of it all together. I found your answer to another comment about the difference you noticed when you turned it off at night and was amazed! We currently live in a townhome, attached to and very closely surrounded by other homes. (Not our ideal by any stretch of the imagination, but in an area where good housing is hard to come by, we were thankful we found it to rent for the time being.) From inside our house, we can usually pick up twelve other Wifi signals, quite a few of them full strength. How much of a concern should this be? In this situation, would turning off/getting rid of our Wifi even make a difference? I noticed in one of your replies to a comment that you mentioned avoiding Wifi as much as possible…how exactly do you do that? Thanks so much for any info, and thanks again for always writing such great blog posts! Thanks so much for the awesome article, it was really thought-provoking. I never thought to put the iPad on airplane mode when my kids play it, but it totally makes sense! After reading, I called my utility companies and they said they don’t use smart meters, but the meter has some device on it that sends out a signal to the utility truck as it drives by monthly. They said it only sends a signal when the truck sends a signal to it, once a month. Have you heard of this? Is this safe or is it the same as a smart meter? Also, another question: is it better to have battery operated electronics (like alarm clock, sound machine, etc) in a bedroom than to have them plugged in? If the meter has a FCC number on it then it is transmitting. You can also google the model number to find out the specs. I installed the app but I have no clue what the number means! What’s a good/bad reading? Do you know if the products marketed by safe space are legitimate? They are supposed to protect your home on a while. They also have pendants you can wear that protect a small space. I think that they are supposed to convert harmful waves into something less harmful. Loved the article, thank you. there appears to be no link to the list of emf measuring apps for smartphones. thanks! The EMR or electromagnetic radiation emitted from your cell phone is a possible carcinogen. Wireless microwave radiation is in the same carcinogenic category as lead, DDT and chloroform. The app for the phone may measure EMF from plugged in devices. Great, detailed info! Do you recommend shields if the laptop is sat in the table vs legs when its being used? Though the impact of the shield is greatest in situations when the computer is on the lap, I personally use my DefenderPad even if it is on the table. The DefenderPad may protect from EMF but if the computer is using WiFi or Bluetooth you and those around you are being microwaved with RF wireless signals. WiFi, Bluetooth and the microwave oven all use the same 2.45 Ghz frequency. Of course, the energy from them are from different levels. The only difference is the time it takes to “cook”. Thank you for the quick reply!!! One more quick question on this…can I use the laptop shield for my tablet too…from the look in the picture it seemed the computer just sat on it. I was hoping I could interchange the 2 devices. My son will be taking 2 homeschool courses online next year and want him as safe as possible (and the rest of us). I wi,be looking into wiring vs WiFi too, thanks! What about baby monitors? Do they emiy EMFs? I always have mine connected on my night table. The BlocSock looks hideous!! One would think at this day and age that they would have come up with something decent looking! Oy Vey! I guess it will do until then. LOL! Very interesting! We live in an area that does not have high speed internet available. So the only option we have is to use our cell phone carrier through a hot spot on our desk top. So we have to turn the hot spot on and let it connect to a signal before we can use the internet. Do you know if it is putting out EMF’s all the time even if we have it off? I guess it would be similar to a cell phone? Any way of blocking EMF’s from a desk top? Think of a “hot spot” as something that is unhealthy. You may get the internet wirelessly, however, you are also exposing yourself to dangerous non-stop pulsed RF microwave radiation. I am so glad to know this, because I am on our laptop a lot (there’s SO much information to know!). I am 4 weeks pregnant and I worry I did damage because before I knew I was holding it on my lap a lot. I have since ordered the shield, and was wondering if getting a blanket or belly band would offer any additional protection or is that a waste of money? Thank you! Hi Heather, Thanks so much for this info. I have a question: It seems that your family has decided to keep using smartphones, and to just shield them with appropriate cases to protect from RF radiation. 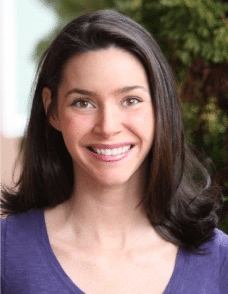 However, others, such a Katie Singer (author of “An Electronic Silent Spring), advocate people who want to avoid RF radiation and EMFs to completely get rid of cell phones all together, because cell towers and antennae are very harmful, too, and the more people who subscribe to these services just means more cell towers that have to go up. I know that everyone has to make their own decisions, but I was hoping you could share why your family decided to keep using smartphones. I follow you guys on Instagram 🙂 (Honestly, Instagram is the one thing I can’t use on a regular computer, so without my smartphone I’d have to give it up.) I’m trying to decide whether to keep my phone and shield it, or get rid of it altogether… If you could share how you reached your decision, I would greatly appreciate it!! Anyone else who has made this decision one way or another is welcome to chime in. Thank you! It’s a good idea to disclose the business relationship you have with the products you’re recommending. Having the links to shareasale indicates you are getting a portion of the sale, which blurs the lines between editorial and advertisement. Mommypotamus, could you please verify the information re: GSM vs CDMA cell phones. I had the impression that CDMA was safer than the GSM (I have a GSM iphone 4 and was planning to make a change to something CDMA, based on EMF safety concerns). 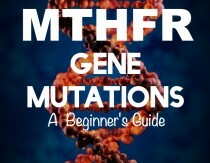 Here is what I found: http://electromagnetichealth.org/electromagnetic-health-blog/gsm-cdma/ . I leave my phone in “airport” mode as much as possible (which is the great ) with the WIFI and Bluetoorth off and use the cell phone as little as possible but I like to have one for emergencies . I’m not sure if this is right but I ‘ve heard that “airplane mode” may not mean that the cellular signal is completely off (and I suppose that might be different for different phone). I would like to get the right facts on the CDMA vs GSM so that I can start shopping for a low “SAR” phone (but hopefully with an awesome camera!). Thank you for posting on such an important topic! Following! I’d love to know the same thing! Regarding salt lamps, most of the ones that plug in, especially those with dimmers, emit HUGE amounts of EMF – the needle on our trifield meter was past the max! I ordered some salt lamps after reading about their benefits. Then I learned about EMF and that my son is EXTREMELY sensitive. At 10 years old, he woke up every morning barely able to walk due to all-over body pain. He was extremely fatigued all the time and never felt truly “well.” After getting the trifield meter and testing everything in the house, we removed almost all the EMF culprits and did some rewiring. After 2 months, he had significantly more energy and almost no pain! So interesting. Thank you for sharing! I was literally getting them to help and just canceled my order. What if I leave my phone on silent mode or vibration will EMF Affect me? Can you elaborate more on turning off the wifi at night “it made such a difference for us” Was it physically speaking or from a mental standpoint? “6. Bed pads and others could make you PART of the circuit, not protect you from it. One of the most shocking things that I learned about EMFs in these two parts is that using some of the grounding bed pads or foot pads could actually make you part of the circuit, not protect you from it. You can become part of the circuit if there are EMFs above you. The only way to test this is to have a qualified technician come in and use specialized equipment. You can’t do it with a Gauss meter. One really great thing you can do (with computers especially) is to place a selenite rod, a lepidolite and a smoky quartz point between you and it (any or all) . Selenite works wonderfully and is SO BEAUTIFUL!!! I have a lepidolite taped onto my phone, as well. And we keep a smoky quartz on our router too. Yay for crystals! My daughter’s chiropractor sells some type of EMF protector that you plug into an outlet and it is supposed to protect your whole house from EMFs. Do you know anything about this and if they work? I’m wondering about this as well. Does anyone have any further information or testing results on this form of protection? You’re probably referring to the Graham Stetzer (another brand is Green Wave, but I don’t know which is better) filters that remove “dirty” electricity from the electrical wires in the house. They plug into outlets to remove the dirty electricity. You need enough filters at various outlets to clean up the whole house – they say 20 filters would be enough for an average house. You need a meter also, because depending on what’s plugged in, you might need two filters on one outlet. I’m actually looking into getting those myself. Our smart meter is on the outside wall of MY ROOM. And, the wireless router is in my room as well despite the fact that I’m the one in my family who is freaked out by EMF radiation, my phone is always on airplane mode. i can’t really do anything. Unless i wanna move out of my house. But i’m still a kid. My mom won’t let me move the router even though i sob over it she says i’m being irrational. My elderly mom is recovering from breast cancer and the wifi provider installed the modem for her wifi right next to her bed!! To reduce radiation, we unplug the power cord at night. Do you think that’s the same as “turning off” the wifi? I have all my kids’ laptops and tablets plugged into a bookshelf so we have a one location charging station. It’s in the craft/fun room that they are in quite often. After reading about EMF exposure I’m wondering if that is a bad idea. If it is a bad idea what do you think is a better way to keep things charged? Or could I move it to the garage? Put an earthing mat under it? Do you know anything about the small magnet/diode things that you’re supposed to keep in your pocket (or elsewhere on your body) to “absorb” the EMFs you’re exposed to? I’ve had 2 health practitioners try to sell them to me, but I just can’t find any actual information about them. I bought the Defender Shield for my husband’s laptop, and I feel comfortable with that company. But I’d like to know if these little pocket guys are useful, or just a hoax. My husband would like a metal roof…does anyone have any feedback on if this would amplify the EMFs exist in our home? Thank you for any feedback! Has anyone come across a EMF free headset for toddlers. We travel quite a bit long distances (10-12 hours flights) and would love to find a comfortable headset for our 18 month old. We currently have the EMF free airtubes for ourselves but that would not work for a little one. Mommy(andDaddy)potamus, My wife has enjoyed (and thus I’ve enjoyed) much of your thoughts and information since you’ve come on line. Thank you. In relation to protection against or reduction of EMF’s, “Stetzerizer Filters” were not mentioned. After researching a great deal, I found that many fellow ‘researchers’ abide by such filters as one of the sure bets while other protection gadgets or stickers seem to claim much but deliver questioningly. One of the catchier brands (I’m not paid to say this; they just have a good marketeer) is GreenWave Filters. They and others like them connect directly to outlets to combat the frequency fluctuations that define ‘dirty electricity’. It might be worth your time to check this type of filter out and add the info in your next post or update. Blessings and all the best to you and yours! Hi. Thanks for the great article! Have you heard of Gia Wellness? A friend introduced me to them about a year ago. They have harmonizers that protect against EMF. I’d like to know your opinion on their products! If I unplug my baby monitor when I don’t need to see the screen, will that keep the camera from transmitting EMFs?